A consultation on the Core Strategy Pre-Submission Draft began on 14 October 2015 and closed on 25 November 2015. This was the final opportunity to comment on the content of the Core Strategy before submission to a Planning Inspector for independent examination. This latest draft includes some significant new proposals for development in Ponteland including new schools, leisure centre and a large number of houses on the land between Callerton Lane, Ponteland Road and Rotary Way and new housing between Willow Way and Callerton Lane. 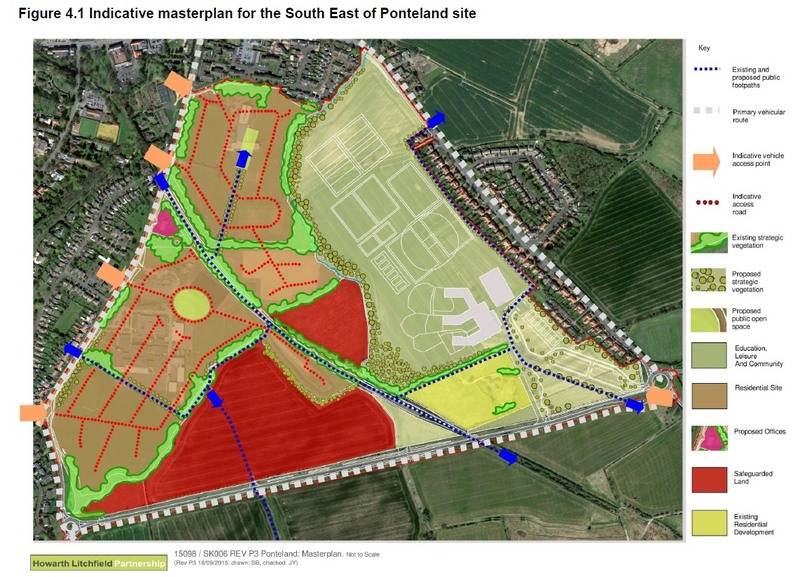 You can download a copy of the New Proposals for Ponteland and an associated response form in Word format from our own site here. Details of the consultation are listed in the Brief Guide to Consultation document which we have copied to our own site here.